Uterine cancer, also known as endometrial cancer, is the fourth most common cancer for women and the most commonly diagnosed gynecologic cancer in the United States. An estimated 61,380 new cases of uterine cancer will be diagnosed in the U.S. in 2017, with more than10,920 deaths expected to result from the diagnosis. The incidence of uterine cancer is rising, mainly due to a rise in obesity, which is a key risk factor for this disease. Affecting mainly post-menopausal women, the average age of women diagnosed with uterine cancer is 60 years old. 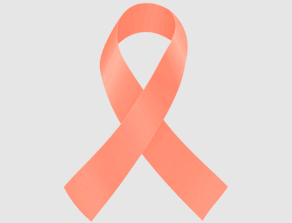 The overall five-year survival rate for uterine cancer is 82%. Today, there are more than 600,000 uterine cancer survivors in the U.S. In addition to specific projects listed below, genomics research is helping us attack uterine cancer – and all types of cancer. NFCR has distinguished itself from other organizations by emphasizing long-term, transformative research and working to move people toward cancer genomics. Dr. Wei Zhang has devoted his entire career to the pursuit of precision oncology – specifically to the key molecular and genomic events that drive the development and progression of cancer. Over the last 18 years, Dr. Zhang has identified multiple novel cancer markers and oncogenic signaling molecules. When Dr. Zhang was working at MD Anderson, he and his team identified genetic mutations in endometrioid endometrial carcinoma (EEC), the most common form of uterine cancer. These mutations revealed a more lethal version of an EEC subtype that was previously thought to respond well to treatment. If oncologists can identify the patients with this mutation early on, they may be able to try more aggressive treatment approaches that would increase the likelihood for positive outcomes. Dr. Kathryn Horwitz’s laboratory, that received NFCR funding for 30 years, focuses on the hormones estradiol and progesterone and their role in breast cancer. Dr. Horwitz’s research has shown that dormant or “sleeping” tumors can be “awakened” by hormones. Thus, her team is continuing their studies to better understand the significance of cell subtypes in luminal cancers, their role in initiating tumors and in spawning dormant mini-tumors at metastatic sites, and the roles of estradiol and progesterone in tumor arousal and recurrence. This work may also have a strong influence on the understanding and treatment of other hormone-related cancers, such as uterine and prostate cancer.